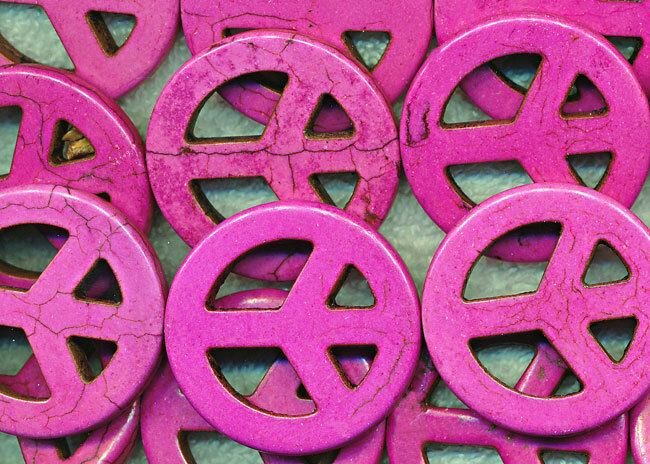 FINAL CLEARANCE Wholesale 35mm Gemstone Peace Sign Beads - Fuchsia-Pink Peace Symbol Beads - Measuring 35mm, these Large Peace Sign Beads in colorful Gemstone Magnesite look wonderful incorporated into Trendy Peace Jewelry designs. This larger size is especially useful as focal pendants. You'll receive 1 strand of approx 12 pendant beads - must take last 8 strands.